This is a Limited Commemorative Edition DVD of the Authorised Biography of the World’s Best Developed Man. 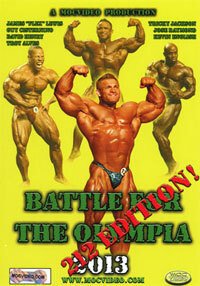 Reg Park is recognised as one of the greatest bodybuilders ever to have participated on the world stage. This is a tribute to this great and humble man, which provides an insight into the real Reg Park - the champion, the husband, the father, the friend, the actor, the teacher, the healer, the inspiration and the gentleman. 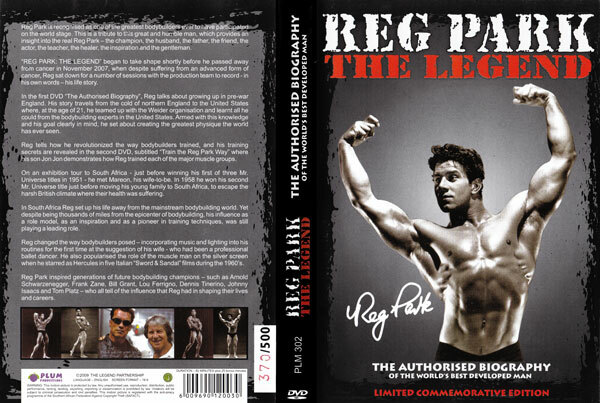 "REG PARK: THE LEGEND" began to take shape shortly before he passed away from cancer in November 2007, when despite suffering from an advanced form of cancer, Reg sat down for a number of sessions with the production team to record - in his own words - his life story. In this the first DVD of 2, "The Authorised Biography", Reg talks about growing up in pre-war England and the hardships that food rationing created for him in post-war England. It was so bad that fellow bodybuilders sacrificed their rations of eggs and milk for the protein they contained, to help him with his training. His story travels from the cold of northern England to the United States where, at the age of 21, he teamed up with the Weider organisation and learnt all he could from the bodybuilding experts in the United States. 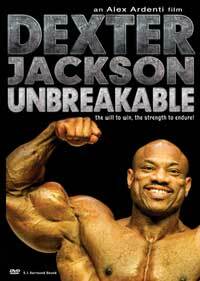 Armed with this knowledge and his goal clearly in mind, he set about creating the greatest physique the world has ever seen. 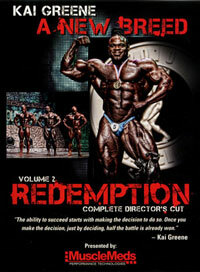 Reg tells how he revolutionized the way bodybuilders trained. 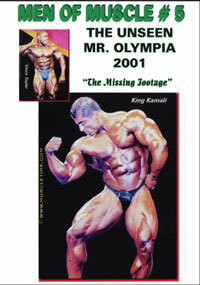 His training secrets are revealed in the second DVD, subtitled "Train the Reg Park Way" where his son Jon Jon demonstrates how Reg trained each of the major muscle groups. Reg was also revered for his tremendous strength as well as his perfect physique. On an exhibition tour to South Africa - just before winning his first of three Mr. Universe titles in 1951 - he met Mareon, his wife-to-be. In 1958 he won his second Mr. Universe title just before moving his young family to South Africa, to escape the harsh British climate where their health was suffering. 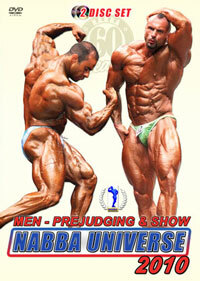 In South Africa Reg set up his life away from the mainstream bodybuilding world. Yet despite being thousands of miles from the epicenter of bodybuilding, his influence as a role model, as an inspiration and as a pioneer in training techniques, was still playing a leading role. Reg changed the way bodybuilders posed - incorporating music and lighting into his routines for the first time at the suggestion of his wife - who had been a professional ballet dancer. He also popularised the role of the muscle man on the silver screen when he starred as Hercules in five Italian "Sword & Sandal" films during the 1960's. 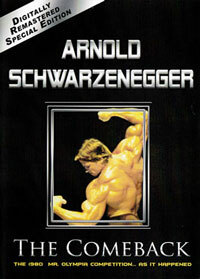 Reg Park inspired generations of future bodybuilding champions - such as Arnold Schwarzenegger, Frank Zane, Bill Grant, Lou Ferrigno, Dennis Tinerino, Johnny Isaacs and Tom Platz - who all tell of the influence that Reg had in shaping their lives and careers. Reg was a committed family man and his home was where he was happiest. He doted on his wife Mareon – to whom he was married for 55 years. He loved coming home after a long day at the gym to Mareon’s cooking and spending time with his son, Jon Jon, and daughter, Jeunesse. 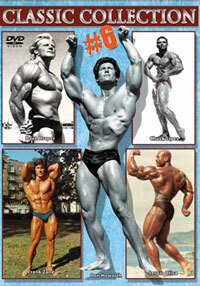 “REG PARK: The Legend” features interviews with many people who have influenced the world of bodybuilding for decades – Joe Weider, Wag Bennett, David Webster, Dianne Bennett and David Gentle, amongst others - who all tell how Reg has affected their lives. 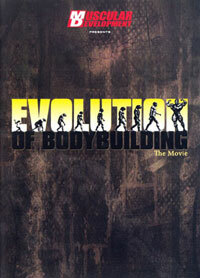 This film is a fitting tribute to the memory of Reg Park. Always a gentlemen - humble in victory and gracious in defeat. 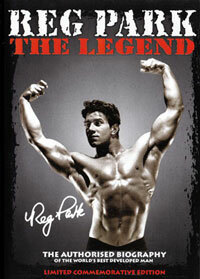 Make certain you get your copy of “REG PARK: The Legend” - The Authorised Biography. 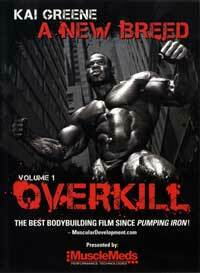 There are only 500 copies each of the Memorial Edition DVD’s. 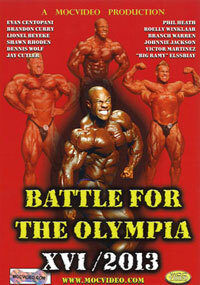 The other DVD is "Train the Reg Park Way" demonstrated by Jon Jon Park and Steve Uria.